We were on the review was another representative of the company’s buildings range Core Fractal Design. 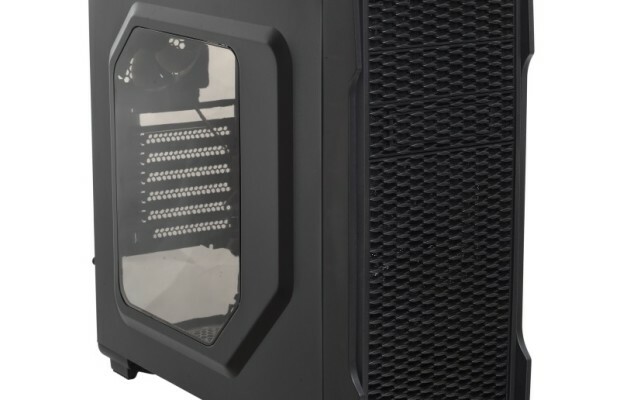 Previously we tested has already been larger model Fractal Design Core 3000 , now it’s time to get acquainted with the case Core 1500 – is Minitower, designed for the installation of motherboards formats microATX and Mini-ITX. The company remains true to its corporate identity, so housing is available only in black color options, but with white fans, caps and trays for hard drives – the decision is not entirely unambiguous, it has both fans and opponents. By and large, the white elements are only visible garbage, and during normal operation, characterized by the color of the elements to be practically invisible. The case comes in a simple cardboard box with a schematic representation of the product and concise specifications. The package in addition to the elements of the case and cooling system includes only a set all kinds of screws and brief instructions for assembly. Instruction is made very high quality. The only thing it lacks – is information about the technical characteristics of the Fractal Design Core 1500. 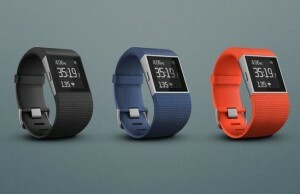 During this information will have to go to the official website of the manufacturer. 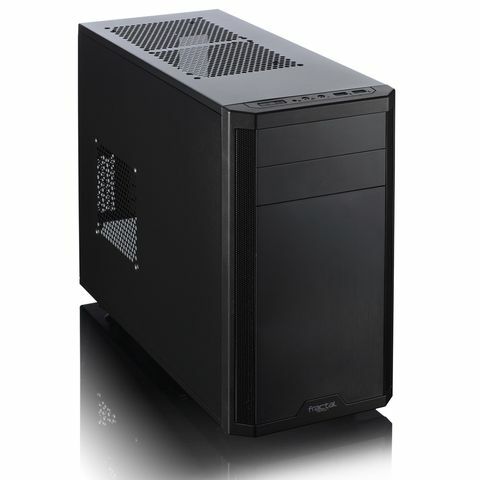 Minitower Fractal Design Core 1500 has a lower location of the power supply and comes without its own power supply. The space in front of the body is divided into three baskets: one for installing 5.25 “devices with external access, and two for hard disks or SSD-drives. Baskets disc rotated by 90 degrees (“left”) and specially spaced (up and down) to not interfere with installation of video card. The maximum length of the video card in this case is 380 mm – this should be enough, even with a margin for the most powerful graphics accelerator. 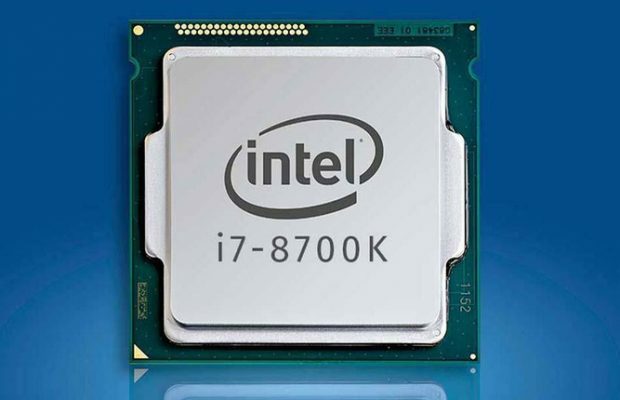 The case involves the installation of motherboards microATX and Mini-ITX, the basis for the installation of removable board with a big hole in the processor area. In fact, this hole is so big that Mini-ITX-motherboard into it almost entirely. But problems with installing and removing the CPU cooler must definitely not occur. 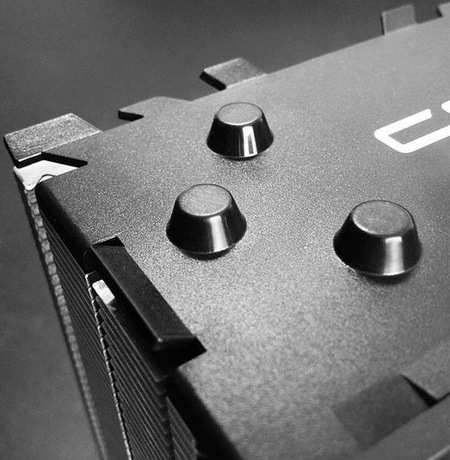 The height of the cooler can reach 162 mm, which is also very good. 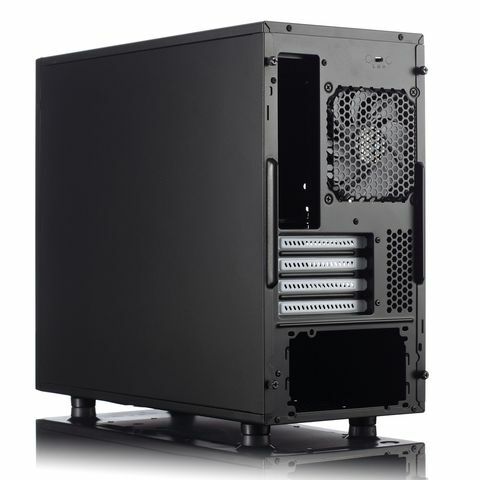 Dimensions Fractal Design Core 1500 is 195 (W) × 370 (V) × 450 (D) mm, weight without power supply – only 5.2 kg. Such small weight is due to the fact that the chassis is made of steel hull thickness of 0.6 mm. The side walls markedly “walk” in the hands, but assembled Core 1500 is quiet, no rattles and other parasitic sounds during operation was observed. The front panel of the case is almost completely made of plastic. To make it more expensive type of Fractal Desing designers have decided to make it the bulk pattern designed to imitate the polished aluminum. In view it turned out not bad, but in real life, unlike the photos, one can see that the panel is plastic, not metal. In the chamfered edges of the vertical front panel has two symmetrical steel mesh. Behind them on the inner side of the panel, are hidden foam dust filters. It is through these nets should take cold air front fan. Carried panel by six plastic spacers to remove it quite grasp the cut-out in the bottom of the panel and pull hard on yourself. Part of the dust will necessarily enter the body through the cut-out, especially if you add it to an existing second fan is the same. Power and reset buttons, and a set of front-end ports and indicators are at the forefront of the top wall of the housing. Buttons are united in a common unit, they can be easily confused by negligence. The mechanism of the buttons has a small stroke and fires with a loud click. Power LED (Power LED) built into the power button and hard drive activity indicator (HDD LED) is just right. Both glow bright white light – so bright that not every smartphone boasts a flash. Light is indeed often distracts the attention and prevent work in the evenings, good indicators can be simply connected to the terminal board. Set audio connectors are standard pair minijack (3.5 mm) for connecting a microphone and headphones. Two USB 3.0 ports are separated from each other by only 7 mm, which means that with simultaneous connection of two large-sized devices can be problems. The two side walls are fixed thumbscrew. The walls of poorly kept by rolling and sliding reclining mechanism, after loosening the screws they are and strive to fall out of the housing. The right side wall is completely deaf, and on the left provides a seat for an additional system fan. The upper and lower walls of the housing profusely perforated and also provide for the installation of several fans, for them, we talk more in the relevant section. Feet Core 1500 is made of rigid plastic, although softer rubber in this case would be preferable, moreover that the housing weighs little and is made of relatively thin metal. But the height of the feet is 15 mm – this should help get power supply cool air in sufficient amounts and without fanfare. In addition to the rear of the emitted white caps and the body of the fan with the same white blades can be seen a small switch in the upper right corner – a switch speed of the three fans that are connected to the integrated controller. 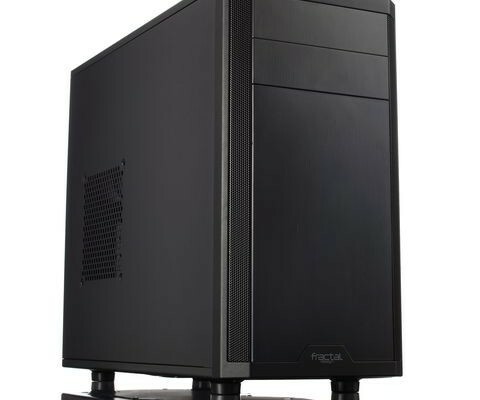 At first glance, the cooling system Fractal Design Core 1500 is organized is simple and clear: one or two 120-mm fans on the front panel, working on blowing, and a similar one fan on the back working, respectively, for blowing – the classical scheme, which is It is sufficient for most configurations. Supplied as time goes two fan size 120 mm, mounted on the front and back walls.The maximum fan speed is 1200 rev / min, which can count on a relatively quiet operation. The method of connection – a standard 3-pin connector with the ability to control the speed of rotation. Fasten “vetrodui” conventional screws Phillips screwdriver. Total seats by additional cooling in the housing provided for 7 pieces, and almost every one of them can be used in several ways. The front wall of the housing can be set two fan size 120 mm or 140 mm one fan in the middle or the bottom. Both seats on the top wall of the housing are universal, they can install fans size 120 or 140 mm.The seat on the side wall 140 is only suitable for millimeter fan and at the rear, on the contrary, only 120mm coolers. Two seats are located on the bottom wall of the housing. The first is designed for 120mm fans, but installing them may prevent non-standard size power supply. The second seat is versatile – 120 or 140 mm, but it is necessary to dismantle the involvement of the lower basket of hard drives. Not enough choices? In this case, you can dismantle the upper HDD cage, to release the lower slot for 5.25 “devices, and then instead of the two fans on the front panel can be set thin radiator liquid cooling system, length 240 mm. Similar radiator can be installed on the top wall by removing the optical drive of the upper section and, if the system board will not be higher than 34 mm elements at a distance of 23 mm from the upper edge of the housing. The rear fan can be replaced by 120mm radiator SVO, in which case no additional conditions need not comply. To deal with dust in this case are called the two dust filter: foam one on the front panel and the second in the form of a plastic grid on the bottom wall. Foam inserts are securely fastened in place, they should be cleaned with a vacuum cleaner without removing. The filter on the bottom wall can be quickly removed and put into place, but only if the body lying on its side. Comfortable frame and slide, as is often sold in other models, from Fractal Design Core 1500 is not provided. The controller on the rear wall can be connected to three fans. He himself is powered by a SATA-connector type “Dad.” The output of the controller outputs 5, 7 and 12 volt modes L, M and H, respectively. Complete fans start without problems including the minimum voltage. 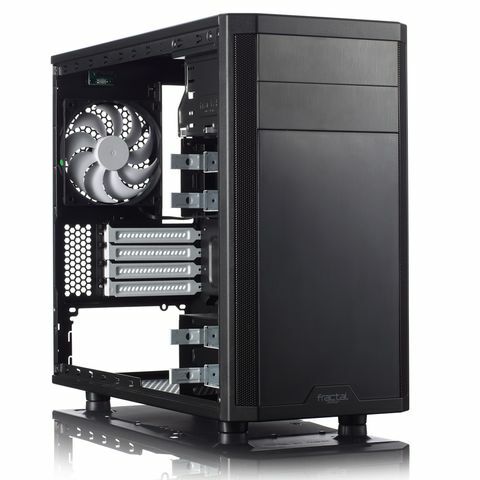 In general, the cooling system Fractal Design Core 1500 can be considered sound and quite successful, especially considering the relatively low cost of housing. Of course, we would like to see the dust filters on the side and top of the cabinet, because without them completing very quickly covered with a noticeable layer of dust. The motherboard in this case is set to standard brass hexagon thread that you want to put down on their own. Note that for each type of mounting hardware is its unique set screw, a full list of which is specified in the assembly instructions. 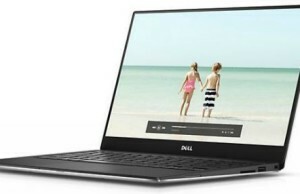 The optical drive or any other five-inch device simply slide into the appropriate slot and secure the thumbscrews – simple and reliable solution. To install the 2.5 “and 3.5” drives provide universal white trays, is firmly fixed in the body by steel struts. Discs should be screwed to the tray by conventional screws, with side holes are not used and are located at the bottom of the drive. In the case of the 3.5 “drive lock will occur through anti-vibration pads. More compact HDD or SSD bolted directly to the metal. The disc tray is put back on the rails in the basket. If desired, it can be further enhanced hardware with a single screw Phillips screwdriver, but without this tray sits very securely, and play, even the slightest, is completely absent. Another drive noutbuchnogo format can be set on the back side of the substrate to the system board. He simply screwed to this landing place with 4 screws Phillips screwdriver. Each of the 4 plugs for the rear expansion slots is fixed separate thumbscrew. Power supply fan can be installed both downwards and upwards. The method of its fastening – screw, without any interesting features. Fractal Design Core 1500 provides for the possibility of hidden cables from the power supply to the motherboard, for this purpose provided a total of 4 holes around the perimeter of the substrate. The distance between the reverse side of the substrate and the side wall of the housing is about 13 mm. USB 3.0 ports on the front panel are connected monolithic 20-terminal block. Audio connectors are also connected monolithic HDA connector standard without backward compatibility with AC’97. A set of wires to connect the buttons and indicators presented traditional loose. Assembling a PC in the body delivers only pleasant emotions. All elements are conveniently located, no need to struggle with bizarre systems screwless mounting components are widely used thumbscrews, which can operate without the use of a screwdriver. Of course, screw fastening is not carried out as quickly as landing on the various latches and struts, but also to its reliability and durability issues occur much less frequently. Housing Fractal Design Core 1500 has a strict minimalist design, and therefore fits well in the home and in the office interior. Possibility to install a video card up to 380 mm making it a good choice for building a relatively compact gaming PC, and flexible cooling system that only helps. It is clear that with such characteristics suitable housing and to create on its basis a general purpose computer or workstation mediocre, although in this case the chassis dimensions and capabilities may be somewhat redundant. In general, Fractal Design has turned out even if not the most remarkable and memorable body, but made efficiently and competently. The flexibility of the cooling system is really amazing: fans and radiators in this case can be placed almost 20 different ways. For relative shortcomings model include lights are too bright, not very thick metal, insufficient dust filters and feet of hard plastic.Fortunately, some of these shortcomings does not bear real problems for the buyer, and the second part can, if desired, to fight on their own.